9,299 EMI starts from Rs 3,162 ? In our country, the demand for per person electricity is more than that of the total electricity generated. With the fast growth in our population, there should a growth in the power generation too. Due to this gap between the supply and the demand, companies like Luminous have emerged to withstand the problem of power failures in our day to day life. So, if you are planning to get an inverter battery of Luminous, the, go for Luminous Red charge 15000 - 120AH Tubular Battery online from www.moxikart.com and avail the eye catching deals that follow. 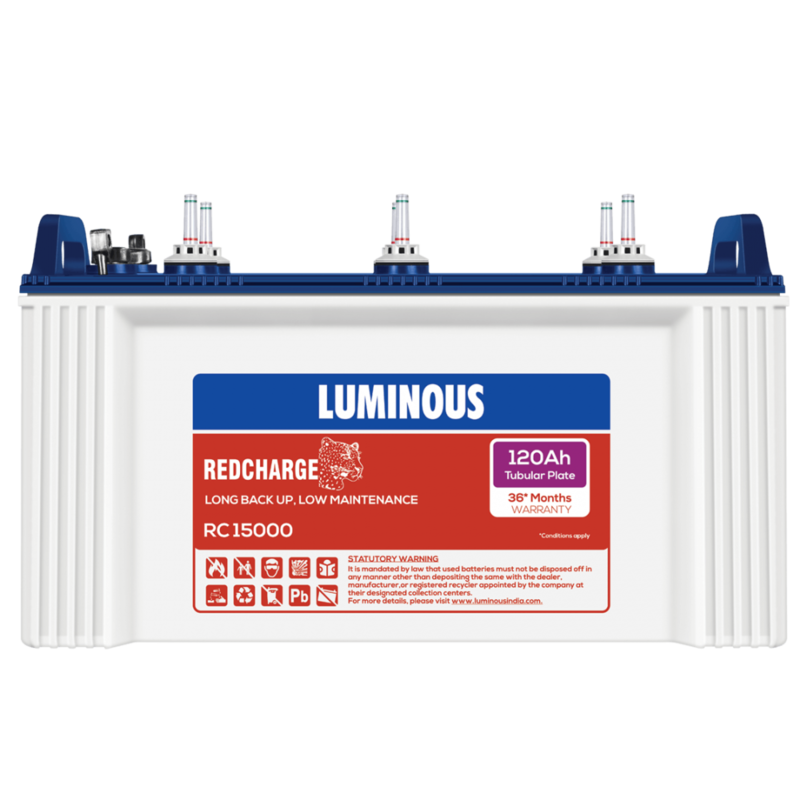 Luminous has introduced this economical range of batteries with an excellent performance. The batteries are manufactured using the rugged tubular plates.